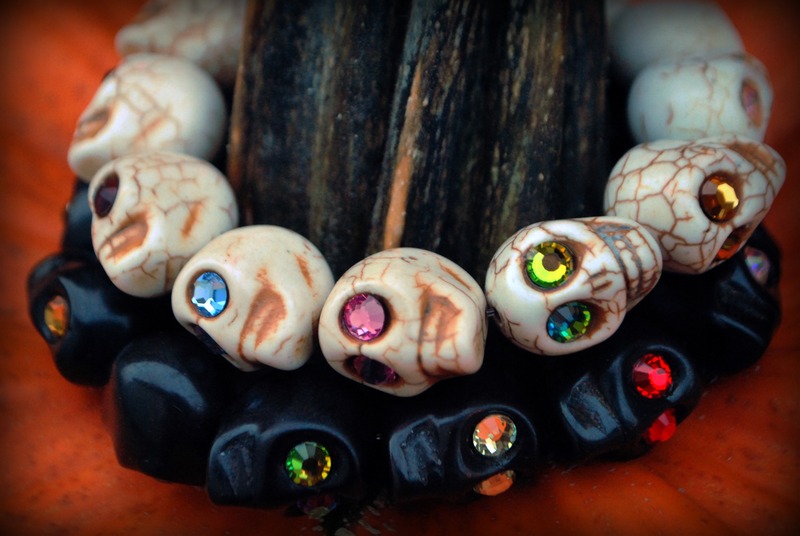 We just got a shipment of brand new magnesite skulls! 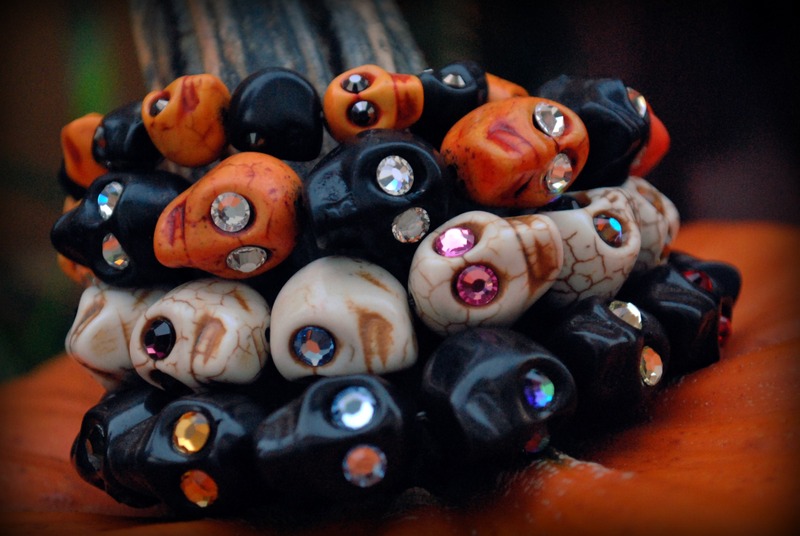 There are several styles of bracelets in fun color combinations and strands in lots of colors. 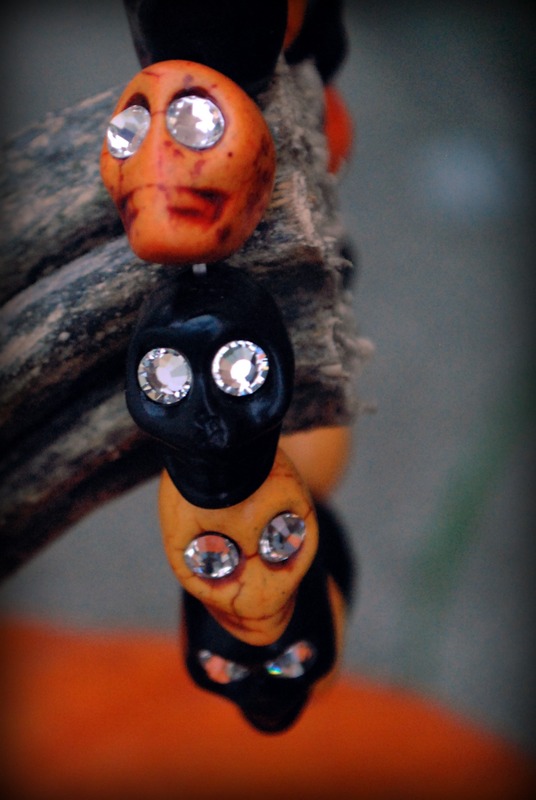 I picked up the orange and black bracelets in 13x18mm and 8x12mm sizes. 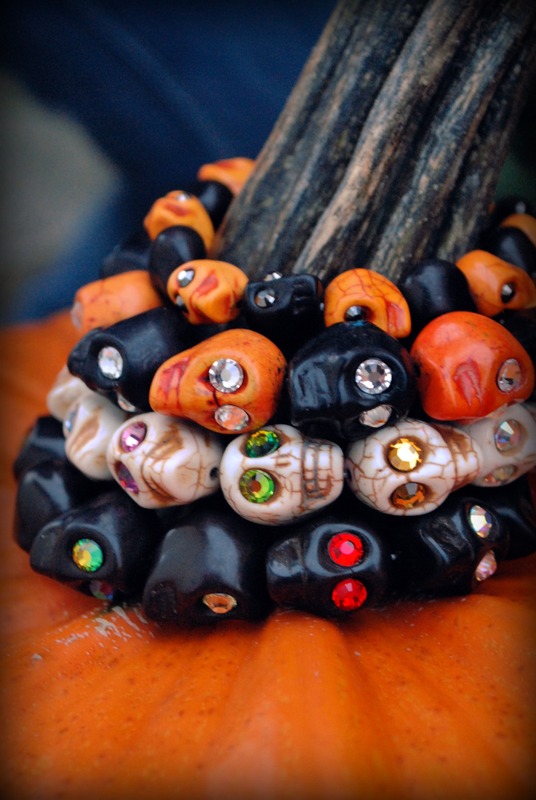 I also picked up a some strands in white and black and made some bracelets of my own to make some of these sparkly stretch bracelets in honor of Day of the Dead or Halloween. For the eyes, I used Preciosa Chatons in Ss20 size. 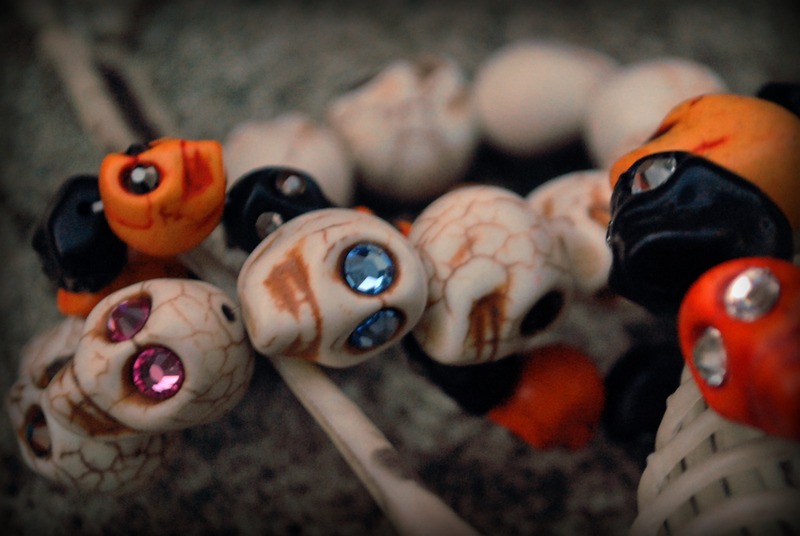 I placed a small drop of Gem Tac into each eye, popped in a crystal and let them dry overnight. The glue dries clear and really holds the crystals in place. 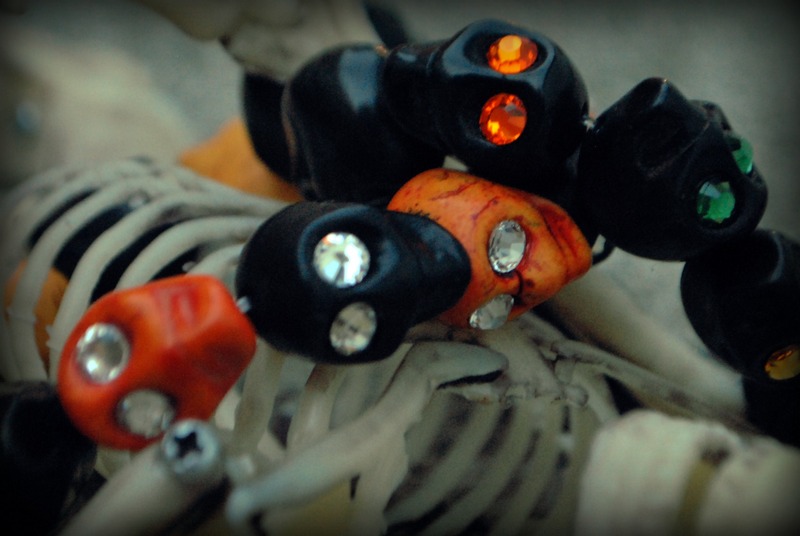 Check back tomorrow for some spook skull and feather earrings! Will you / do you sell these through the mail!????! I want a white one!!!! Incredibly killer. ..Never seen one like it!! Probably not. 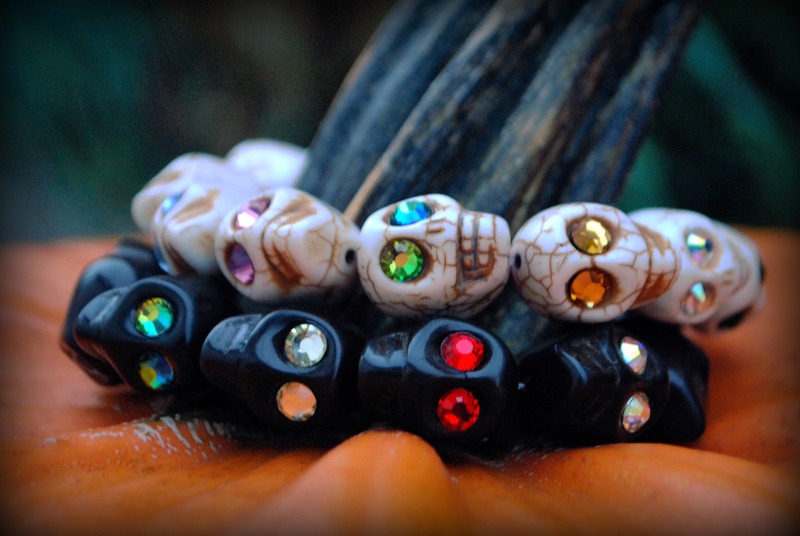 The blog is mainly just to show projects you can do at home with our beads! Enter your email address to follow blog and receive email notifications.